The Civil Service Fast Stream is an award-winning graduate programme, providing an accelerated career path to leadership within the Civil Service across a huge range of departments and agencies. Since 2016, the Civil Service Fast Stream has sponsored the EP Scheme through providing work shadowing placements and an exclusive ‘Whitehall Experience Day’. Accordingly, the EP team gained the chance to join a select-group of students as they undertook this fantastic experience day in Central London. 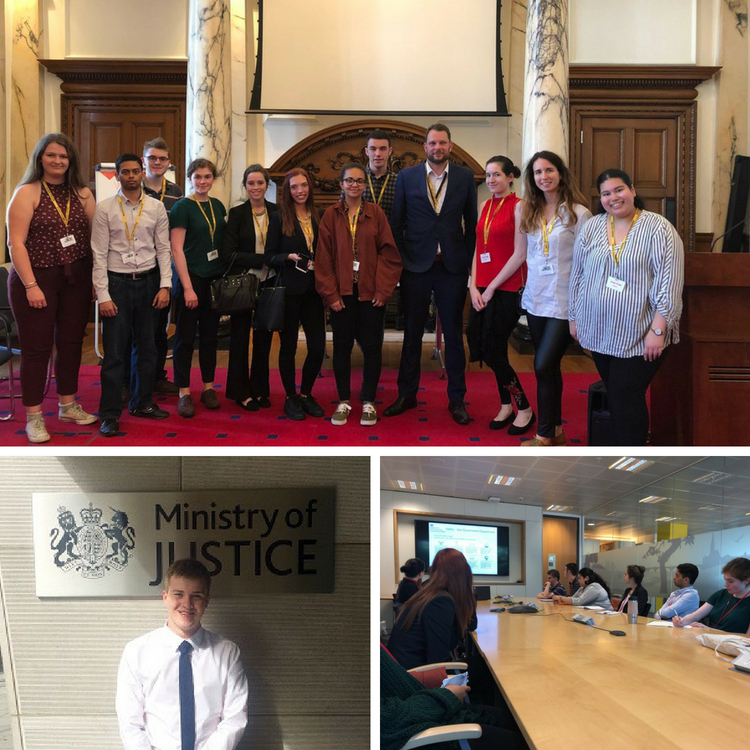 The event started at the Ministry of Housing, Community and Local Government (MHCLG), where students had the chance to meet current Civil Servants, including Emily Antcliffe, who is the Head of the Public Enquiry Response Team. Following this unique insight into the world of the civil service, students participated in a workshop with the Department for Environment, Food and Rural Affairs (DEFRA), where they were tasked with creating a briefing paper for a minister. In the afternoon, the group were given a guided tour of the Foreign and Commonwealth Office (FCO) and Her Majesty’s Treasury (HMJ), with workshops being included on diplomacy and the statistics graduate programme. In addition to providing experience days, EP students have been given the chance to shadow senior civil servants. The EP team caught-up with Rhys Brown (School of Politics and International Relations) to find out more about his 2-day reward. Rhys spent his first day with Rosie Melville, a Kent Alumni, and undertook some work focused on prison reform; attending meetings and even gaining the chance to write a policy paper! His second day was spent at the Ministry of Defence (MOD), where he worked alongside a civil servant focused on Cyber and Security Policy.